Wangan Midnight The Movie OST, New Wangan Midnight soundtracks! 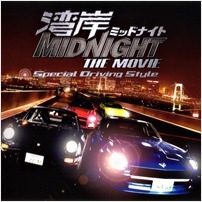 A new Wangan Midnight album has been added to the Soundtracks section. 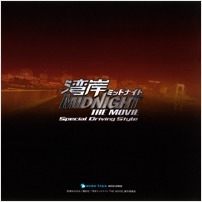 This album Wangan Midnight The Movie Special Driving Style had been released since early September 2009. You will find that most of the songs are a little different than the past Wangan Midnight OSTs in that this album features quite a few English pop songs that generally add to the depth of the characters in the movie. There are a couple of fast pace songs such as Come Back by Go Go Girls. It is rather rare to see Eurobeat on a Wangan Midnight album to be honest. I highly recommend anyone out there to purchase this album if you are a big Wangan Midnight fan. I might buy the album in the future. Too bad Yuzo Koshiro didn't contribute a track. Umm. About the movie I've seen a link about the part of the video in youtube so. I'm just saying this to those who are fans and players of WMMT series and WMR "That there is a online stream of this movie but by parts." I just like telling to others so it might help to others.